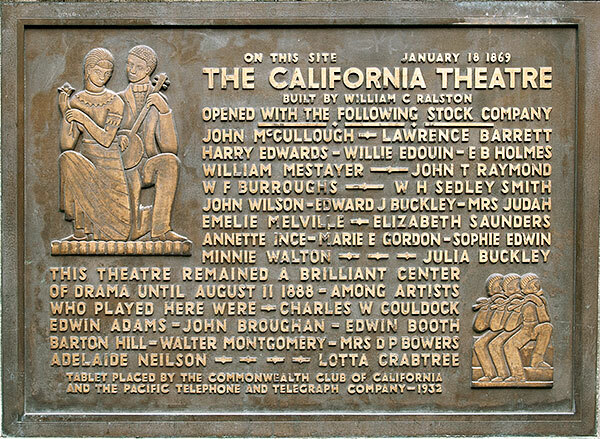 Inspired by the acting of John McCullough and Lawrence Barrett, William Ralston built the California Theatre to showcase their talent. Ralston thought that the theatre would be a lucrative investment. He was right. The theatre was successful beyond his expectations. 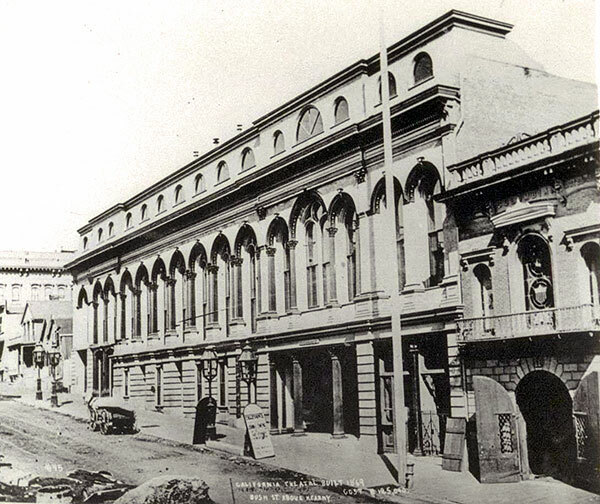 The theatre opened on January 18, 1869 with a performance of Bulwer-Lytton's play Money. It was the leading theatre in the city until its demolition in 1888. There were elaborate murals of San Francisco and a panoramic view of San Francisco Bay on the drop curtain. The theatre claimed to be the first on the West Coast to use calcium light (limelight) with parabolic reflectors aimed from the house, to light up the stage. A new California Theatre, opened on the site on May 18, 1889, but was destroyed in the 1906 Earthquake and Fire. 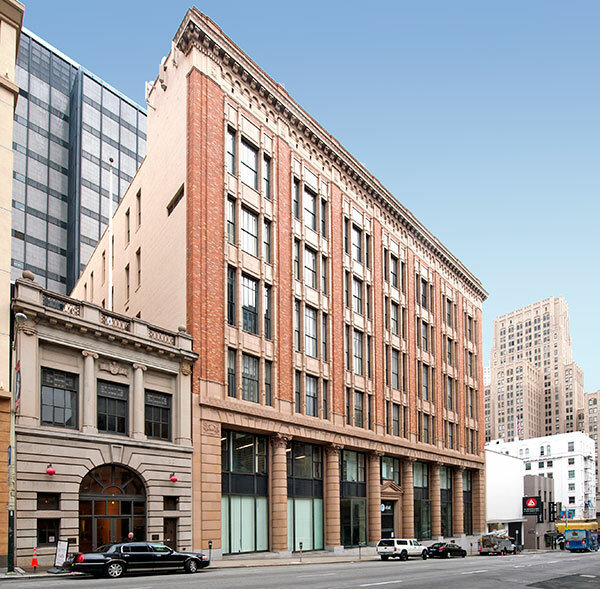 The theatre never regained its former status after Ralston's death in 1875 and McCullough's departure in 1877, but it was first theatre on the West Coast to be lighted exclusively with electricity.